The next innovation in racks MADE to carry your bikes. Your bike is your friend. You spend alot of money on it and you should treat it well when transporting it. 1952 – Edward M. Orkney opens G.I. Joes in Portland, Oregon. G.I’ Joes first inventory was surplus Army Sleeping Bags. 1977 – Jake Burton opens Burton Snowboards in Londonderry, Vermont. Burton’s first board, the Backhill, is introduced. 1991 – San Jose Sharks Play 1st official NHL game in Daly City, California. The Sharks 1st NHL game was played at the Cow Palace. 1994 – Old Navy opens on-trend apparel stores in Colma, California. Old Navy started selling on-trend apparel. 2006 – Bryan Heim & Nathan Waddell open Flightline Fabrications in Tigard, Oregon. Aviation stickers were never the same again. 2010 – Erik Nyberg opens Riders And Sliders in Portland, Oregon. A Service Stop for Bikes & Boards! Riders and Sliders has been tuning, repairing, and selling bicycle parts, Skis, & Snowboards since 1980. Based in Portland, Oregon, we are one of the world’s best at what we do. Our dedication to the highest quality work, process innovation, and customer service has made Riders and Sliders the first choice of professional and home bicycle owners around the world. Shaped by over 25 years of experience in the sports industry, beginning with retail stores, Riders & Sliders provides Factory certified technicians who put quality first for you. Riders And Sliders is NOW OPEN! Schedule your appointment today, you will not be disappointed! Let ’em Ride! Let ’em Slide! 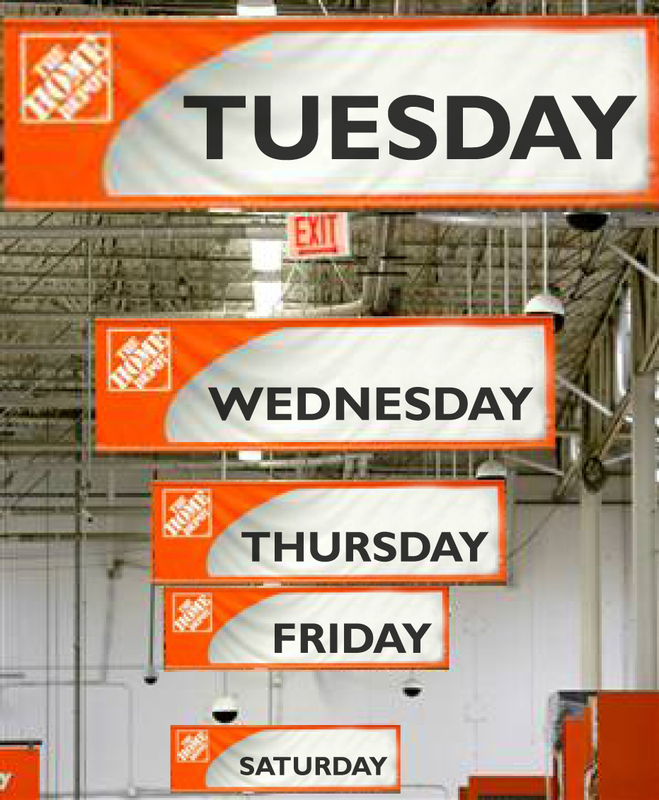 Riders And Sliders: Home Depot Trip #5… of 50! How many trips to Home Depot does it take to open a Riders And Sliders Shop? Lumber, Screws, Bolts, Lights, Pipe, Mats, Outlet Covers, C-Channel, Lag Bolts, Plumbing Flange… 1 visit… 2 visit… 3 visit… 4 visit… 5 visit… We’ll keep you posted because we’re not done yet!